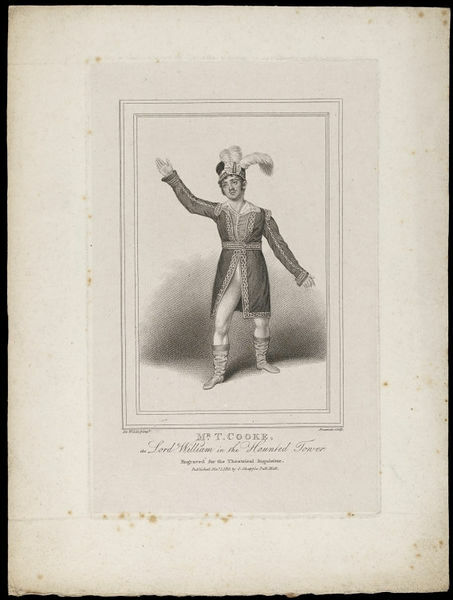 Portrait of T. Cooke as Lord William in The Haunted Tower. 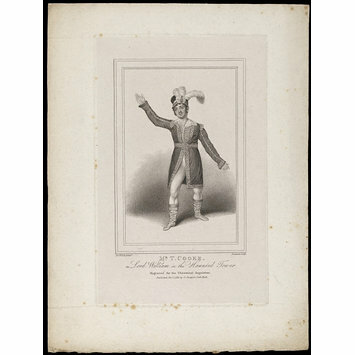 Plate engraved for the Theatrical Inquisitor. 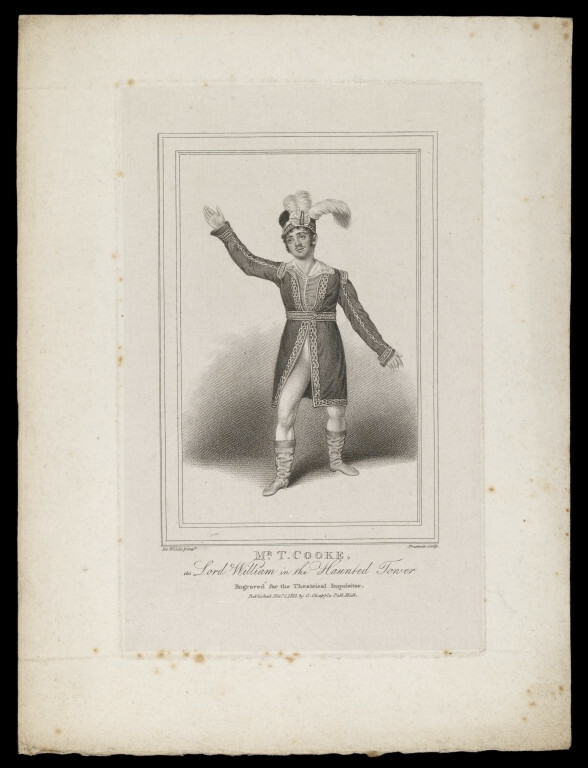 Published in London by C. Chapple on 1st November 1813, Harry Beard Collection. Engraved portrait of T. Cooke as Lord William in The Haunted Tower.